Superheroes to the rescue! 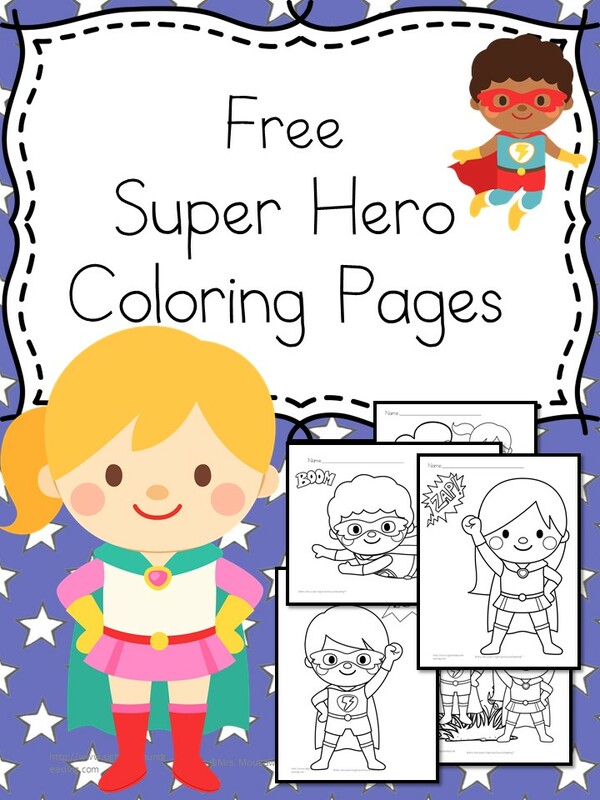 Today we have some super fun Superheroes Coloring Pages. My kids love superheroes so I made these for them. I have 6 different coloring pages in all. Some with boys, some with girls and some with both! Coloring pages are fun and great for helping kids practice holding a crayon, coloring in the lines…all these great fine motor challenges! Another great activity to go along with the coloring pages is this fun Melissa and Doug Superhero mask – My kids love to make them and be a Superhero for the day. I also found a book that my children LOVE! How to Draw Comic Book Superheroes Using 5 Easy Shapes walks a child step by step on who to draw a Super Hero. It is super simple and easy and when they are finished, they feel so accomplished. There is a princess one too – for those that love princesses. We also have one for the Disney Characters. 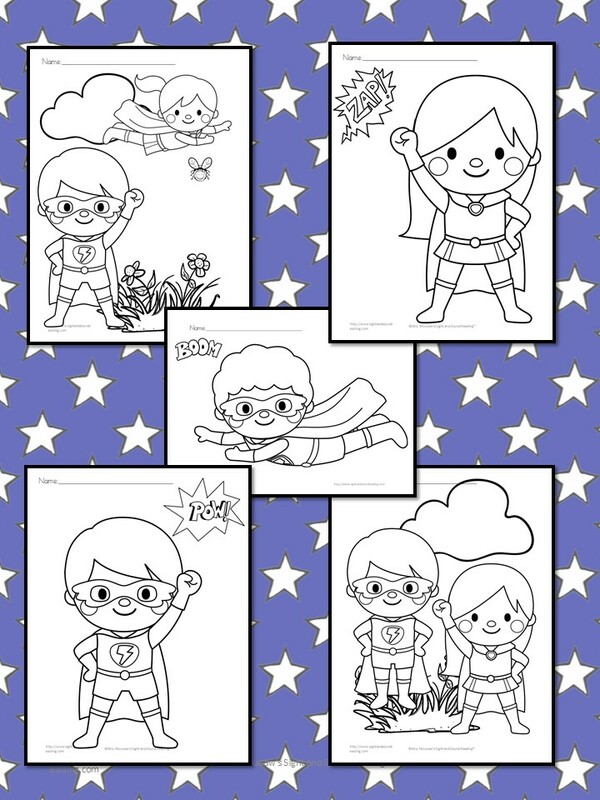 Anyway, now it is time for your Superhero worksheets! 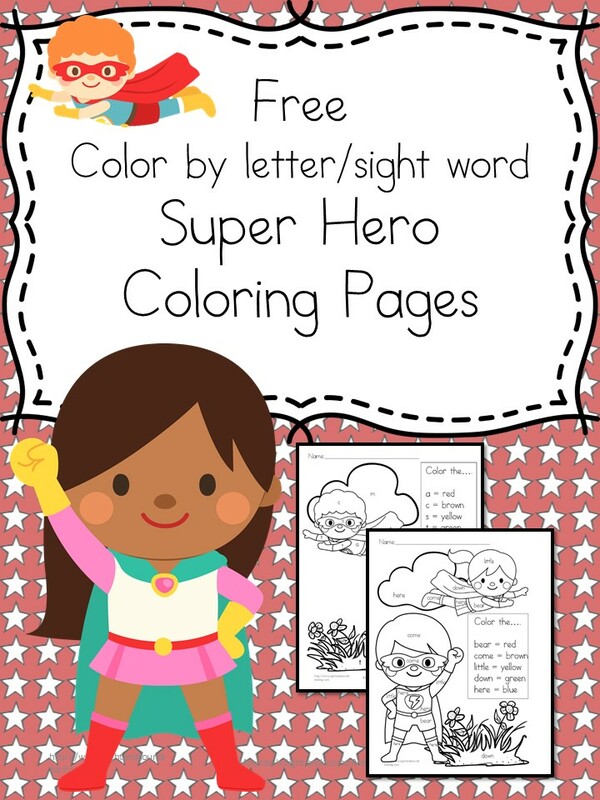 These Super Heroes Coloring Pages are color by letter and color by sight words… There are both girl and boy super heroes on each worksheet. The coloring pages are great for preschool, kindergarten or first grade. To get your free worksheets, enter your information below. You will be added to our mailing list where you will find out about more fun things, (like freebies!) There are directions in the email about how to unsubscribe if you wish. If you have any problems downloading your free St. Patrick’s day worksheets, please email me, [email protected] and let me know which worksheet you were trying to download. Ces dessins sont très chouettes ! Où faut-il écrire son adresse e-mail pour les recevoir ? Je ne trouve pas l’endroit.